Omaha hold’em poker is a less used variant of the poker family. There are some inherent differences between the two though, and whilst it would take a long time to dissect each and every difference between the two, the fundamental differences lie in the number of cards; specifically two cards, which may not sound like much, but to a seasoned poker player, those extra two cards make all the difference and open up a world of options at the table. With Omaha Hold ‘Em poker, instead of the traditionally expected two cards, players are dealt four hole cards. The main, stand out difference as a result of this is that making larger, stronger hands is a lot easier…after all, those two cards need to be of some use. 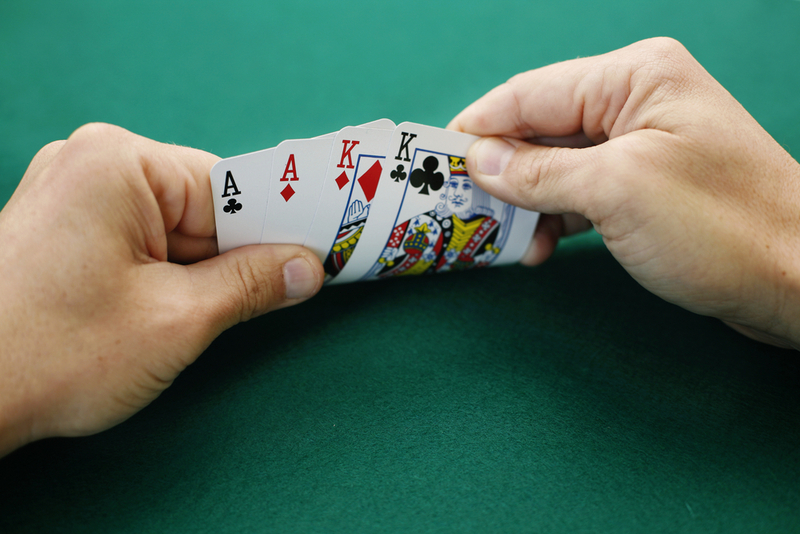 Both variants of hold ’em require five cards to make a hand, but with Omaha Hold ‘Em, players need to construct their five card hand from exactly two cards of our hole card pool. Any more or any less is not allowed in the rules. A classic example of a hand, therefore, in Omaha, would be having a Ace of spades; we’d then only be able to have a flush with another spade card. So, whilst there are two new cards to play with, the availability to make varying hands is limited by the fact the ‘two card rule’ has to be adhered to. This needs to be remembered with any Omaha poker strategy. One consideration which can in itself be a strategy is to ensure there is a large amount of money in the pot whilst the player has their best hand on the go. There are a lot of hands available, but they still always have to consist of those two hole cards, and it’s considered a much faster paced game than its Texas counterpart. The games turn around very quickly with less bluffing and a lot of folding in quicker succession, with many players in fact drawn to this variant as it is very much geared towards avoiding slow play. If you have a good hand, ramp up the pot before its gone and take home the lot. Omaha Hold ‘Em is also considered a game where prospective gamblers should store up over and above their required buy ins due to the quick succession of games; where one game may last a whole night, Omaha turns around much quicker and so players will be putting into the pot more often. Generally, a suggested turnover is to have around 40 times the needed buy in to sit comfortably. Once confidence in the rules has been established and the player has developed their style, larger buy ins are encouraged. After all, with a high turnover of games in each sitting, the larger the stakes, the more there is to be won. With all variants of poker though, on a losing streak, the worst thing anyone can do is continue with those big stakes. With Omaha, it’s perfectly fine to go back to the start and use a £25 hand instead of £100. When the games turn over, if there’s a winning streak and good hands, it’ll show itself pretty quickly. Another strategy is to avoid the smaller rundown hands. An ace, followed by a 2, 3 and 4, may seem easy or attractive but its weak in the bigger scheme of things. Players on the table will be able to see that there are stronger hands to be had, and with Omaha, players prefer speed. This won’t cause players to sit and scratch their heads…they’ll call the player out and walk away with the winnings. In general, a good Omaha poker strategy is about minimal risk, minimal bluffing, and getting the games over and restarted in quick succession. Those two extra cards make all the difference; it’s more cards to play with, but surprisingly restrictive when it comes to putting a hand together. Just remember Omaha’s faults and it can be enjoyed as a great little variant of Hold ‘Em.